When choosing between two such amazing services like Prepped and Gourmet Station, you need to take a good look at all the little details that may make one superior to the other. The goal of this Prepped VS Gourmet Station comparison is to provide an objective assessment of the quality of both services based on the degree to which they satisfy all the major criteria for meal delivery comparison. View the scores they received on every criterion, take a look at their most prominent features side by side, and discover which one of them has done more to ensure your complete satisfaction. Prepped brings you chef-prepared meals, side dishes, and snacks that are well-balanced, freshly cooked, ready to eat in a minute, and available at industry-average prices. Order whenever you want, no subscription needed. Whether you are planning a romantic dinner, need a good gourmet gift or want to host a holiday dinner without breaking a sweat, Gourmet Station has got you covered with delicious gourmet meals for every occasion. Prepped does not offer meal plans. Prepped has a weekly a la carte menu that features about 45 items. Prepped offers chef-prepared breakfasts, lunches, dinners, sides, and snacks. For individuals on special diets, the service offers low-carb, low-calories, dairy-free, gluten-free, and Paleo items. Veggie sides and snacks are vegetarian-friendly. Prepped sources its ingredients from trusted local farms and suppliers. All the ingredients are GMO-free and contain no added hormones or antibiotics. The meals are prepared and delivered fresh. Prepped meals come in medium-sized portions. They are well-balanced and calorie-conscious. Normally, a single serving contains between 385 and 520 calories. Prepped does not offer subscriptions or meal plans. You can order at your leisure and the only limitation is that your food has to be worth at least $55. If you are not happy with your Prepped shipment, you can request a refund within 24 hours after you receive the delivery. Refunds are issued in the form of store credits that can be used for future purchases. With Gourmet Station, you can choose between Dinner Gifts, Occasion Dinners, Meal Plans, Monthly Clubs, and Soups and Appetizers. Gourmet Station offers 30+ dishes available within single-course and multi-course meals. Gourmet Station offers gourmet entrées, appetizers, soups, breads, desserts, and even beverages, such as first-class European blend coffee. Its meals are inspired by the American, Parisian, Tuscan, Cajun, and global cuisines. The meals are best suited for vegetarian, carnivorous, and omnivorous foodies with sophisticated palates. You can opt for both everyday and special occasion meals. Gourmet Cuisine uses restaurant-quality ingredients, handcrafts the meals, and delivers them deep chilled for optimal freshness and flavor. Gourmet Station does not provide nutritional information for its meals. The meals are more than satisfying and often consist of several courses, so you are sure to leave the table feeling full. Keeping in mind that Gourmet Station’s business model differs from those of other meal delivery services, it doesn’t offer a lot of flexibility. If you cancel your order before it is shipped, you will be refunded the price of your order, minus the company’s cancelation fee of $50 per order. You can pause your Monthly Club subscription whenever you want. Gourmet Station doesn’t offer refunds. The best meal delivery for singles I’ve tried so far. I order almost every week and not once have I got anything that I didn’t like. Usually, one meal is enough to keep me full, but I get a couple of sides as well for when I’m really hungry. We order about once a month, get 20 meals or so at once to save on shipping, stick most of them in the freezer and defrost them when I’m not in the mood to cook. Of course, they are better fresh, but they taste good when defrosted too. I just think that the breakfasts could be cheaper and there should be more of them. I received a gift card for Gourmet Station from a business associate a while back, and I completely forgot about it. Now that I’ve tried it I’m not sure why I allowed myself to wait this long. I want more! Don’t get me wrong, I’m not a food expert or anything, but me and my husband have a long history of preparing our meals on daily basis. We even go to the farmers market on the weekends and visit actual butchers when we’re shopping for meat. Food we make for ourselves is not perfect, but it’s way better than Gourmet Station. Our daughter sent us a couple of gift cards a few weeks back and we decided to try it out. Never again. We told her to donate money to the charity next time. It wasn’t the worst thing we ate, but it’s definitely not worth the price tag. Delivery was quick, packaging was awesome, it even looked nice when we served it. But it’s still frozen food. There’s just something about frozen food that’ll never make it as good as food from the restaurant. Don’t know if that’s just me. 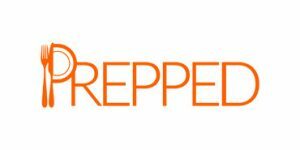 Prepped is a meal delivery service that offers a vast range of healthy, calorie-conscious breakfasts, lunches, dinners, sides, and snacks. Its meals are always fresh and natural and they can be ordered with zero commitments. Explore this company’s delicious offer and learn more about how it works and how much it costs in this honest Prepped review.